Today is the 12th of May: we have a very special birthday surprise from Norway to our followers: we managed to contact one of the most talented youngsters of the world, who became world champion among the juniors and the adults as well before the age of 20! 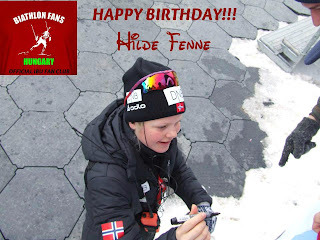 Yes, truly incredible, but Hilde Fenne answers exclusively to Biathlon Fans Hungary on her birthday!!! Hilde, first we would like to wish you a very happy 20th birthday in the name of our members and our followers! You are still very very young, but already a world champion – can you believe it?! Thank you! No, I can't really believe it. What happened this season was not exactly what I expected before the season started. I was just hoping that I could get some starts in the world cup and get some experience there. When I got the message that I was going to start in the World Championship in Nove Mesto I got really excited and very nervous! But the experience was just incredible, all the people cheering in the tracks and on the stadium. It was amazing. And the gold medal on the relay with my team is the biggest thing that I have experienced my whole life, it was CRAZY!! How would you summarize your first season in the adult World Cup? I am sure you are satisfied with your relay performance, how about the individual races? My season has been very different from other years as a biathlete, very exciting and fun. And to compete with the best biathletes in the world and see how I am doing and how much better I have to become to be the best, I learn a lot from that. I am satisfied with my season, I haven't had the best results, but I am still young and have a lot of years to take the step to the top. First I have to qualify, as you say it is very many Norwegian biathletes how wants to go there so I really have to work to come there. I am hoping to take a step futher and do it better then this season. So I hope that my chances will be a little bit better and that I would be a little bit closer to the best biathletes. We know that the preparation for the next season has already started… Where are you and what are you doing at the moment? Yes, that is true. Now I am at home, I just came home from a training camp with the Norwegian team. We have been on Mallorca in Spain and trained, it was a really nice start on the season. 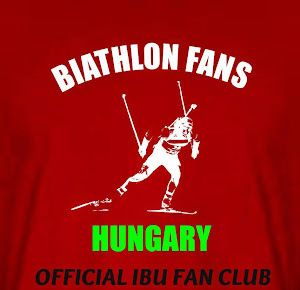 I tell you a little secret: you are the favourite biathlete one of our members, Silvester, and he gave an interview live during the World Championship to the TV Norway as the best „Hungarian Fenne fan”. The reporter was really surprised. Would you be so kind to send him (and to all the Hungarian fans) a special message? Thank you for your answers and we wish you good preparation for the Olympic season and see you in Hochfilzen, we will be there!! !